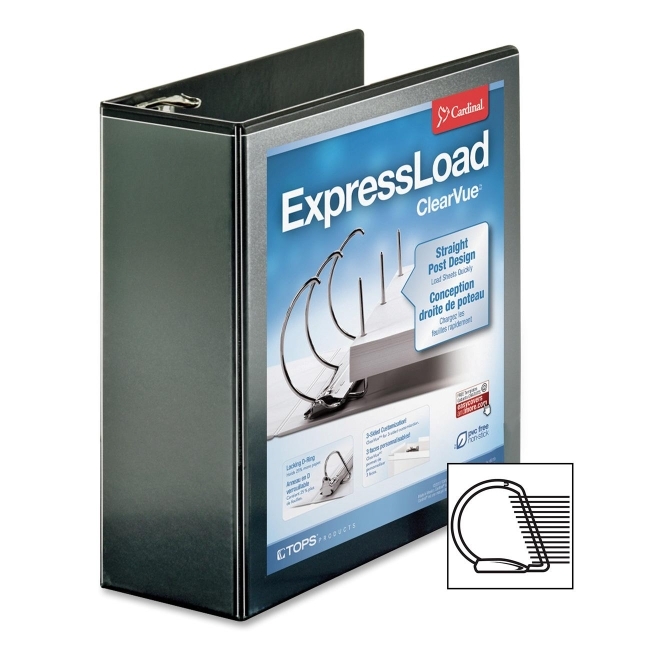 ExpressLoad ClearVue Locking D-ring Binder features a time-saving design that lets you load sheets quicker than ever. Straight post design makes it easy to load contents. Ideal for multiple presentations and reports. Ring design removes the hassle of maneuvering sheets over the curve, while protecting them from damage during loading/unloading. Locking rings hold contents securely. PVC-free poly material will not stick to cover inserts or materials stored inside so it's safe for all documents including photographs. Clear, nonglare overlay allows easy customization on all three sides. 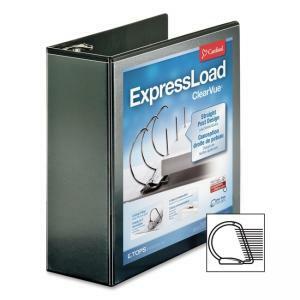 Binder also offers cold crack-resistance to 5 degrees Fahrenheit and horizontal interior pockets for quick and convenient storage.